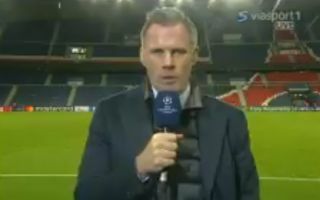 Liverpool legend Jamie Carragher absolutely ripped into Paris Saint-Germain star Neymar after last night’s Champions League clash. The Brazil international scored the winning goal for PSG in a 2-1 victory at the Parc des Princes, but Carragher was fuming about some of his diving. The former Reds defender also slammed some of the other PSG players, questioning how they could go home to their families after that kind of behaviour.